Holy Baptism is the basis of the whole Christian life, the gateway to life in the Spirit and the door which gives access to the other sacraments. Through Baptism we are freed from sin and reborn as sons of God; we become members of Christ, are incorporated into the Church and made sharers in her mission: "Baptism is the sacrament of regeneration through water in the word. Who can receive Baptism; every person not yet baptized and only such a person is able to be baptized. The Lord himself affirms that Baptism is necessary for salvation. He also commands his disciples to proclaim the Gospel to all nations and to baptize them. Baptism is necessary for salvation for those to whom the Gospel has been proclaimed and who have had the possibility of asking for this Sacrament. The Church does not know of any means other than Baptism that assures entry into eternal beatitude; this is why she takes care not to neglect the mission she has received from the Lord to see that all who can be baptized are "reborn of water and the Spirit." God has bound salvation to the sacrament of Baptism, but he himself is not bound by his sacraments. Baptism is the sacrament of faith. But faith needs the community of believers. It is only within the faith of the Church that each of the faithful can believe. The faith required for Baptism is not a perfect and mature faith, but a beginning that is called to develop. The catechumen or the godparent is asked: "What do you ask of God's Church?" The response is: "Faith!". For the grace of Baptism to unfold, the parents' help is important. 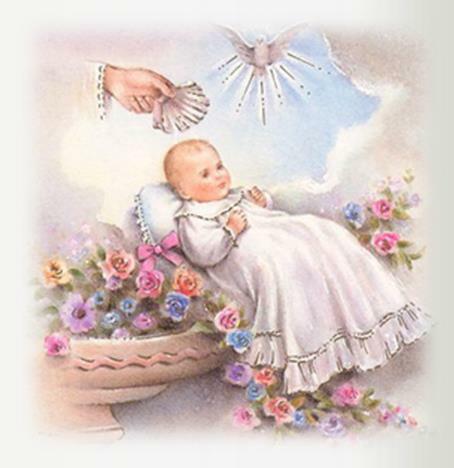 So too is the role of the godfather and godmother, who must be firm believers, able and ready to help the newly baptized - child or adult on the road of Christian life. Their task is a truly ecclesial function (officium). The whole ecclesial community bears some responsibility for the development and safeguarding of the grace given at Baptism. The different effects of Baptism are signified by the perceptible elements of the sacramental rite. Immersion in water symbolizes not only death and purification, but also regeneration and renewal. Thus the two principal effects are purification from sins and new birth in the Holy Spirit.